Former Democratic Alliance policy chief, Gwen Ngwenya. The Democratic Alliance's Gwen Ngwenya has resigned from her position as head of policy, News24 has learnt. News24 understands that Ngwenya handed in her resignation last week, having only served in the post for the past 11 months. Ngwenya confirmed to News24 on Wednesday that she was no longer head of policy at the DA, but is still a member of the party. She will continue to serve as a Member of Parliament for the DA, where she sits on the portfolio committees of energy, justice and correctional services and the standing committee on finance. When asked for the reasons for her resignation, Ngwenya referred questions to party spokesperson Solly Malatsi and the office of DA leader Mmusi Maimane. Malatsi could not be reached on Wednesday for comment. The party's comment will be published upon receipt. 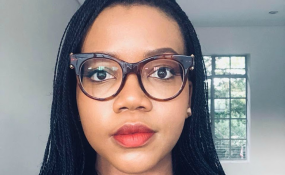 Ngwenya - a former chief operating officer for the Institute of Race Relations - was appointed to the position by Maimane in February 2018, having built up a reputation as a prominent polemicist for her take on heated debates. She is known for her classical liberal views, publicly speaking out against policies that, among other things, would lead to the enforcement of racial quotas. News24 reported in August 2018 that Ngwenya's policies closely aligned with that of former head of policy Gavin Davis, and fellow MP Dr Michael Cardo. Davis and Cardo made the news last year after sending a letter to party delegates ahead of the party's Federal Congress in April last year, urging them not to not adopt a proposed "diversity clause" proposed by Maimane, that, in their view, could lead to the replication of racial quotas. Rather, the party should adopt a diversity clause that represents diversity of thought, where members were treated as individuals, they argued. The classical liberal view won the debate at the party's federal congress, adopting a diversity clause in the Constitution, but also adopting a clause that explicitly rejected quotas of any kind.